Find the closest Aymroo Distributor to you. AYMROO have been endorsed by a large number of water supply authorities that have been impressed by our work. For all your needs in reflux valves, PVC fittings, step irons, DWV fittings, and stormwater fittings, please contact us. Aymroo produces quality moulded and fabricated DWV and Stormwater fittings for plumbers, their merchants and the councils of Australia to the AS/NZS1260 and AS/NZS1254 standards under the control of ISO9001 Quality Management System (SAI Global - QMS40157). 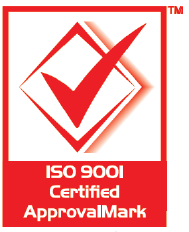 Our Drain, Waste and Vent (DWV) fittings are Watermark certified (SAI Global - WMK25747). DWV Fabricated fittings are triple-welded for strength, fibreglass-reinforced for durability and gelcoated for a smooth finish and safer handling. BEP-uPVC resins. DWV moulded fittings are made to class SN6, in the colour Cloud Grey, with tapered sockets. Stormwater moulded fittings are moulded in Storm White with tapered sockets. Reflux Valves are manufactured to the requirements of ATS5200.006 and are certified under Watermark Certificate 259. The Maintenance Shaft System is manufactured to the requirements of AS/NZS4999 (SAI Global - SMK40084), plus it has been appraised by the Water Services Association of Australia (WSAA Product Appraisal 02/10) and is recommended as an alternative to manholes by its members and associates. All major water boards have also approved the system. Our system is suitable and recommended for installations across Australia. Sitemap | Copyright © 2013 Aymroo Pty Ltd.